A homegoing celebration for Master Jephte Serge Germain-Rogers of Tampa, Florida who passed away on Friday, August 10, 2018 will be held on Saturday, August 25th, 11:00 a.m. at First Baptist Church of College Hill, 3838 N. 29th Street. Rev. S. Evan Burrows pastor, with Pastor Patrick Petit-Frere, officiating. The interment will be in Orange Hill Cemetery. 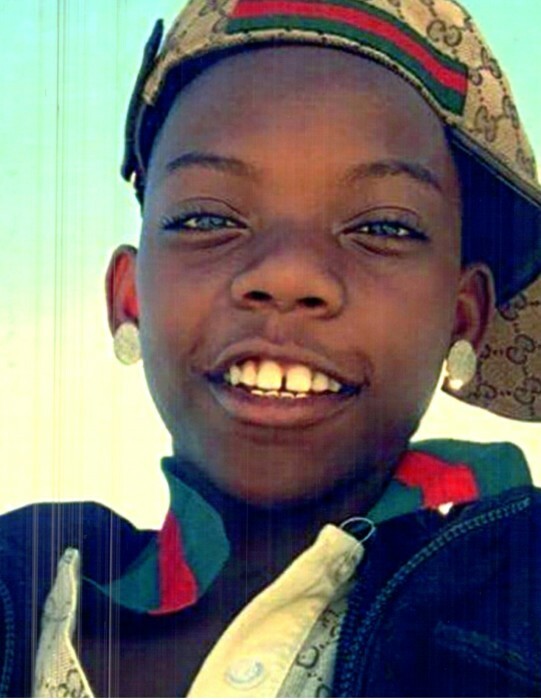 Jephte was born on November 11, 2001 in Tampa, Florida to Joel Germain, Jr. and Aisha Lenay Rogers. He enjoyed training, playing football, giving to the homeless, making people laugh, protecting his parents, dancing and singing. He leaves to cherish his precious memories with his parents, Joel S. Germain and Aisha L. Rogers; brothers, Jerome III and Jeron Wilson; grandparents, Guy, Sr., Arlie and Peggy Rogers, Luc Serge and Dievdonne Germain and Madame and Marie-Marthe Doyen and Family; aunts, Tisha McMillian, Joan Germain-Conley and Marie Paul; uncles, Jean Germain, Guy and Major Rogers; cousins, Noah and Cameron Petit-Frere, NyAsia McMillian, NyAhnni Germain, Jalen and Jonas Bonannee, the Petit-Frere Family and JodieAnn Jenkins, Guy Jenkins, Eric Paul, Noelle Paul, Curtis Paul; best friend and brother in spirit, Xavier Freeman; family and special friends, Omega Psi Phi Fraternity Inc., 23 Restaurant Services and Fords Garage and a host of great aunts, uncles and cousins. The visitation will be held on Friday, August 24th at First Baptist Church of College Hill from 5:00 to 7:00 p.m. The family will receive friends from 5:00 to 6:00 p.m. The family and friends are asked to meet at the church on Saturday for the service.